Of course, all that new stylistic sophistication would mean nothing if the 3DS XL felt like a brick in hand. Thankfully, despite being slightly heavier, the bigger system is a glorious boon to anyone with normal or (especially) plus-sized hands. 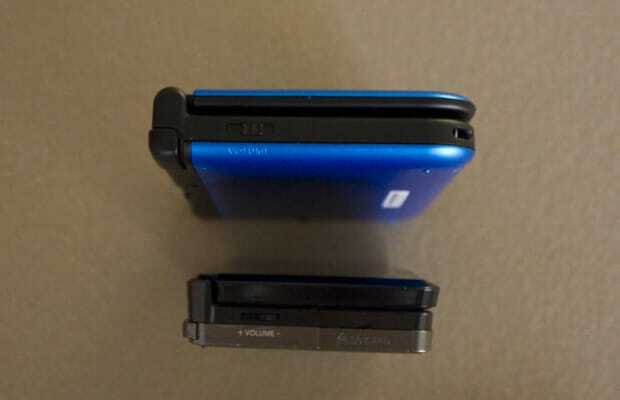 Granted, I've got tiny-handed friends who've held the XL and told me they still prefer the smaller 3DS. But who cares about their tiny-handed opinions? Trying to play any game that requires ample use of the system's L and R triggers, like Mario Kart 7 or (heavens forbid) Kid Icarus, on the original 3DS necessitated something I like to call "claw hands." No more! The 3DS XL's ample real estate means it can rest easily in your hands as your fingers caress its soft backplate. And even the triggers are easily accessible.